The Zhuang Zi has been my close friend for more than two decades, since we first met when I was an undergraduate, then all through my dissertation on it, and right up to the moment of this writing. 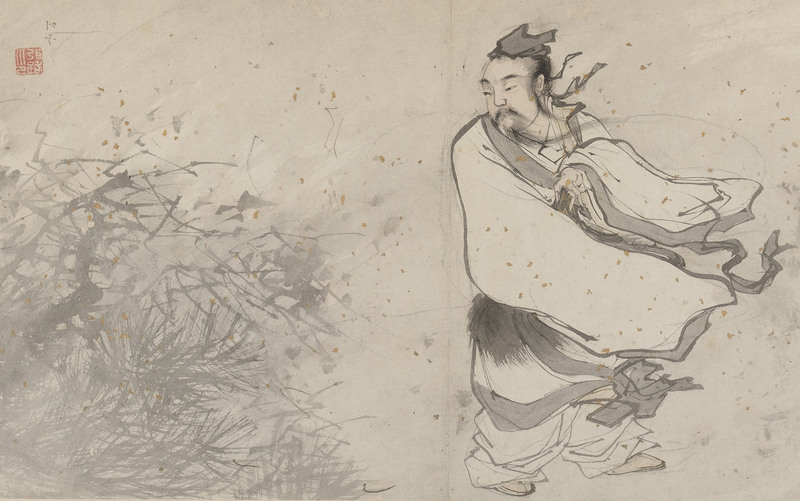 Though the Zhuang Zi is, technically, a book – a proto-Daoist Chinese classic authored c300 BCE – my relationship with it differs from my relationship with any other book. I imagine that members of religious faiths feel like this about their revealed holy scriptures, which would be inexcusably diminished if understood simply as books. I embrace the cackling that Watson describes, relishing the discomfort that inevitably accompanies attempts to pin it down. Even calling it a friend is starting to seem inadequate, inaccurate. Once again, the book is changing as I try to write seriously about it. That’s fine. It’s not a friend anymore. This bizarre combination of masterful fables, poems, dialogues, myths and philosophical musings – it’s a funhouse mirror for your soul, taking a crack at your most deeply held beliefs, destabilising you, forcing you to work just to take yourself seriously. But just because it’s a funhouse mirror doesn’t make it frivolous. On the contrary: the Zhuang Zi is a jester, whose job description is to improve its readers – or, better, to benefit them. Jesters, despite their apparent frivolity, were essential to the courts that employed them. In addition to providing entertainment, they had licence to violate norms, providing a unique check on tyranny of all kinds: political, moral, linguistic. They spoke truth to power, just as the Zhuang Zi speaks truth to the easy dogmas that fix themselves inside me like bumper stickers on my soul. Its therapeutic cackling softens ossified beliefs that for too long have gone unquestioned and unmocked. 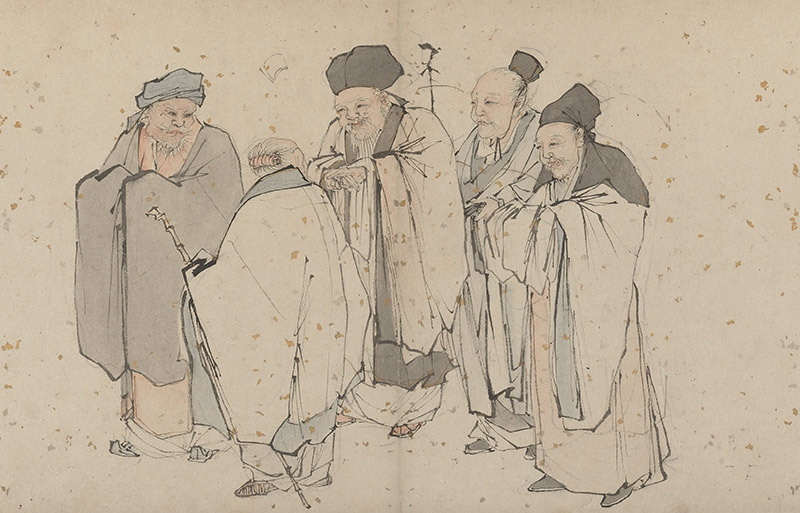 If Confucians, Mohists and other members of classical Chinese schools of thought contemporaneous with the first appearance of the Zhuang Zi saw themselves as producing exemplary gentlemen (junzi, 君子), then the Zhuang Zi acts as jester to those gentlemen, and all role models since. Gentlemen – and the texts they live by – are straightforward guides. They educate through cataphasis: positive statements about the Good and the True. Jesters, by contrast, educate through apophasis, literally un-saying. Instead of statements, riddles; instead of commandments, questions. The gentleman supplies positive content, exemplary behaviour, a stable landing place for the student’s understanding, whereas the jester actively undermines the student’s ability to stabilise herself, providing content that is framed by an explicit or implicit negation: a raised eyebrow, a snicker, a punchline. If the preferred rhetorical form of the gentleman is the example, the preferred rhetorical form of the jester is the mystery, or perhaps the practical joke. The ‘way’ of Chuang Tzu [Master Zhuang] is mysterious because it is so simple that it can get along without being a way at all. Least of all is it a ‘way out’. Chuang Tzu would have agreed with St John of the Cross, that you enter upon this kind of way when you leave all ways and, in some sense, get lost. Martin Buber, the Jewish theologian and author of I and Thou (1923), also produced a translation and commentary on passages from the Zhuang Zi. I would tell you more about what he thought, but now I’m afraid that leading with these great thinkers’ beliefs about the Zhuang Zi could be a mistake. What if you end up believing that Merton or Buber had figured out the Zhuang Zi? I would have turned the funhouse mirror into a portrait; explained the jester’s jokes before he got to tell them. The Zhuang Zi played a big role in the development of Chan (Zen) Buddhism. Can you imagine if your koans were prefaced with a book of answers? Safer, instead, to stick with facts. Bracketing the problem of its meaning, the Zhuang Zi also presents problems of authorship. It’s generally agreed that of the book’s 33 chapters, only the first seven – known as the Inner Chapters – are from the hand of a man named Zhuang Zhou (aka Zhuang Zi, or Master Zhuang), and the remainder were added at a later date. However, some experts claim that the Inner Chapters are themselves the product of different authors, leaving us with little certainty about how the work was composed. This uncertainty contributes to the Zhuang Zi’s destabilising force. Does the entire book express a coherent philosophical vision, attributable, perhaps, to Guo Xiang (252-312 CE), the editor who compiled and reduced an original 52 chapters to the 33 that we have today? If not, can we at least read the Inner Chapters as if they were written by a single individual? Or is it our job to trawl through every chapter looking for the genuine insights of Zhuang Zhou, to be separated out from the surrounding chaff? Even assuming unified authorship of the Inner Chapters, the biography of their author is sparse and poorly sourced. Scholarly disclaimers abound: ‘Little is known about Zhuang Zi…,’ write Philip Ivanhoe and Bryan Van Norden in their collection of readings from classical Chinese philosophy. ‘Not much is known about Zhuang Zi…,’ says Brook Ziporyn in the introduction to his translation. ‘All we know about the identity of Zhuang Zi…,’ begins Watson’s introduction. What follows these disclaimers is inevitably a brief and tentative history of Zhuang Zhou, culled from the book itself (not exactly a reliable source) and a short biography written by the great Chinese historian Sima Qian, nearly 200 years after Master Zhuang’s death. Apparently, he lived in the city of Meng, in the state of Song, during a time of great political turmoil called the Warring States Period. 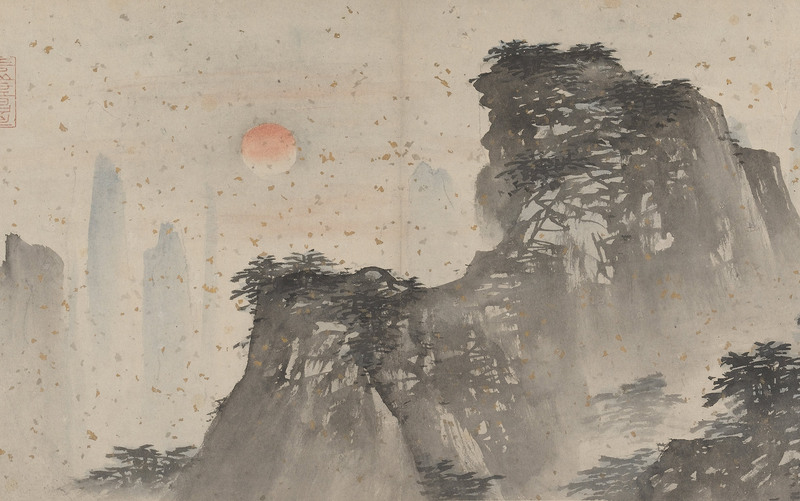 Sima Qian says he was employed as a minor official in ‘the lacquer garden’ – though no one knows whether that was an actual garden, a library, or something else entirely. But does any of that even matter? In annotating the first chapter of the Zhuang Zi, I’ve tried to capture my relationship with my friend – a friend with whom one can disagree about the most important things in life and come out better for doing so. In other words, I focus primarily on how the text speaks to and with me, not just what it might have meant to the author, or to other audiences in other times. This approach has precedents in Kuang Ming-Wu’s The Butterfly as Companion, the inimitable spirit of Master Yingning (攖寧子), and, further back, in the work of the 17th-century polymath and Buddhist monk Fang Yizhi (方以智), author of The Monk of Yaodi Roasts Zhuang Zi. Alan Jay Levinovitz is an associate professor of philosophy and religion at James Madison University in Virginia. He is the author of The Gluten Lie: And Other Myths About What You Eat (2015), The Limits of Religious Tolerance (2016) and the editor, with Daniel Boscaljon, of Teaching Religion and Literature (2018). There is a fish in the Northern Oblivion called Big Brother Roe. This Big Brother Roe is gigantic, spanning who knows how many thousands of miles. He transforms into a bird named Phriendly Phoenix, and this Phriendly Phoenix has a serious back on him, stretching who knows how many thousands of miles. When he rouses himself and soars into the air, his wings are like clouds draped across the heavens. The oceans start to churn, and this bird begins his journey toward the Southern Oblivion. The Southern Oblivion – that is, the Pool of Heaven. It’s a galloping heat haze?! It’s a swirl of dust?! It’s some living creature blown aloft on a breath of the air?! And the blue-on-blue of the sky – is that the sky’s true colour? Or is it just the vast distance, going on and on without end, that looks that way? When Phriendly Phoenix looks down, he too sees only this and nothing more. Now, if water is not piled up thickly enough, it has no power to support a large vessel. Overturn a cupful of water in a hole in the road and you can float a mustard seed in it like a boat, but if you put the cup itself in there it will get stuck. The water is too shallow for so large a vessel. And if the wind is not piled up thickly enough, it has no power to support Phriendly Phoenix’s enormous wings. That is why he needs to put 90,000 miles of air beneath him. Only then can he ride the wind, bearing the blue of heaven on his back and unobstructed on all sides, and make his way south. The White Deer Immortal. 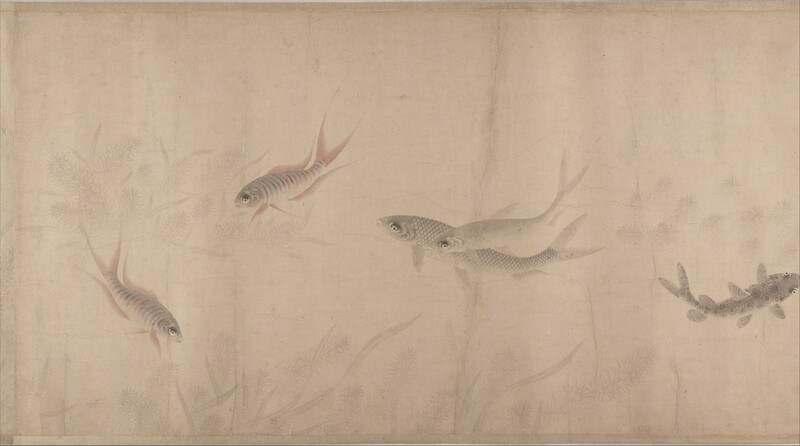 From Album of 18 Daoist Paintings by Zhang Lu (1464-1538). If you go out on a day trip, you can return with your belly still full. If you’re travelling 100 miles, you’ll need to save up provisions for three months before you go. What do these two little creatures know? A small consciousness cannot keep up with a vast consciousness; short duration cannot keep up with long duration. How do we know? The morning mushroom knows nothing of the noontide; the winter cicada knows nothing of the spring and autumn. This is what is meant by short duration. In Southern Chu there is a tree called Mingling, for which 500 years is as a single spring, and another 500 years is as a single autumn. In ancient times, there was even one massive tree whose spring and autumn were each 8,000 years long. And yet nowadays, only Master Peng the Ancient One has a special reputation for longevity, and everyone tries to match him. Pathetic, isn’t it? In the barren northland there is a dark ocean, called the Pool of Heaven. There is a fish there several thousand miles across with a length that is as yet unknown named Big Brother Roe. There’s a bird there named Phriendly Phoenix with a back like Mt Tai and wings like clouds draped across the heavens. Whorling upward, he ascends 90,000 miles, breaking through the clouds and bearing the blue of the sky on his back, and then heads south, finally arriving at the Southern Oblivion. The quail laughs at him, saying: ‘Where does he think he’s going? I leap into the air with all my might, but before I get farther than a few yards I drop to the ground. My twittering and fluttering between the bushes and branches is the utmost form of flying! So where does he think he’s going?’ Such is the difference between the large and the small. Ocean. 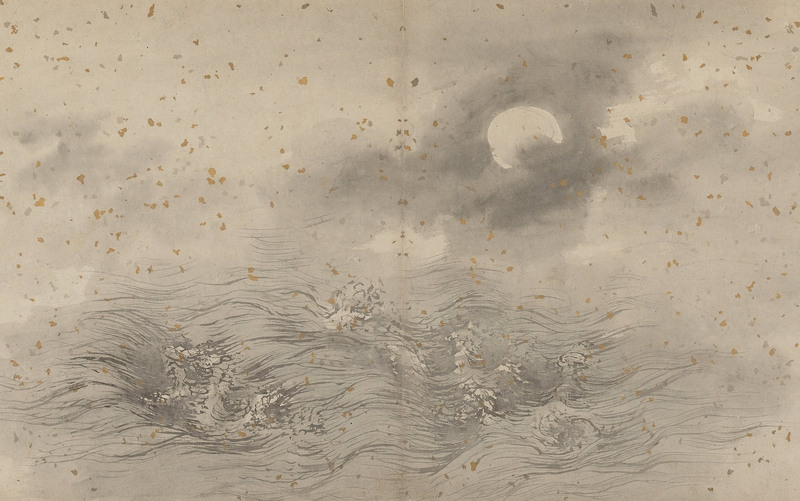 From Album of 18 Daoist Paintings by Zhang Lu (1464-1538). And he whose sagacity is sufficient to fill some post, whose deeds meet the needs of some village, or whose virtuosity pleases some ruler, thus winning him a country to preside over, sees himself in just the same way. Even Master Song Rong would burst out laughing at such a man. If the whole world happened to praise Master Song Rong, he would not be goaded onward; if the whole world condemned him, he would not be deterred. He simply made a sharp and fixed division between the inner and the outer, and clearly discerned where true honour and disgrace are to be found. He did not involve himself in anxious calculations in his dealings with the world. But nonetheless, there was still a sense in which he was not yet really firmly planted. Now, Master Lie rode forth upon the wind, weightlessly graceful, not heading back until 15 days had passed. He did not involve himself in anxious calculations about bringing good fortune to himself. Although this allowed him to avoid the exertions of walking, there was still something he needed to depend on. The Daoist Philosopher Liezi. From Album of 18 Daoist Paintings by Zhang Lu (1464-1538). But suppose you were to chariot upon what squares with heaven and earth, riding atop the back-and-forth of the six basic forces, so that your wandering could nowhere be brought to a halt? You would then be depending on – what? Thus I say, the consummate person has no fixed identity, the spirit man has no particular merit, the sage has no one name. Mountains. From Album of 18 Daoist Paintings by Zhang Lu (1464-1538). 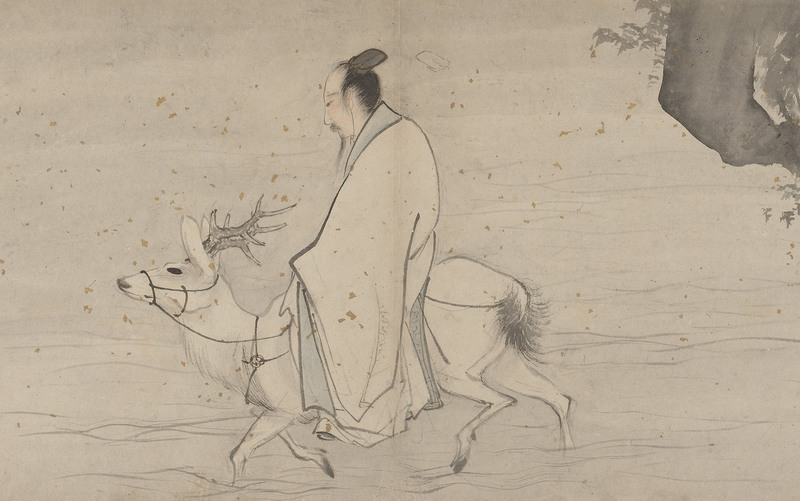 Zhuang Zi (or Master Zhuang, c369-286 BCE) is commonly thought to be the author of the classic philosophical work of the same name, the Zhuang Zi. There is little biographical detail about Zhuang Zi’s life, and the extent of his authorship of the text is likewise unknown. The Zhuang Zi and its early versions of Daoist thought has greatly influenced the development of Buddhism in China.